Author threestrandswdwPosted on 04/30/2014 Categories Disney Destinations, Disney News, Disney World Trip Planning, Fastpass PlusTags Park HoppingLeave a comment on Fastpass+ Enhancements! 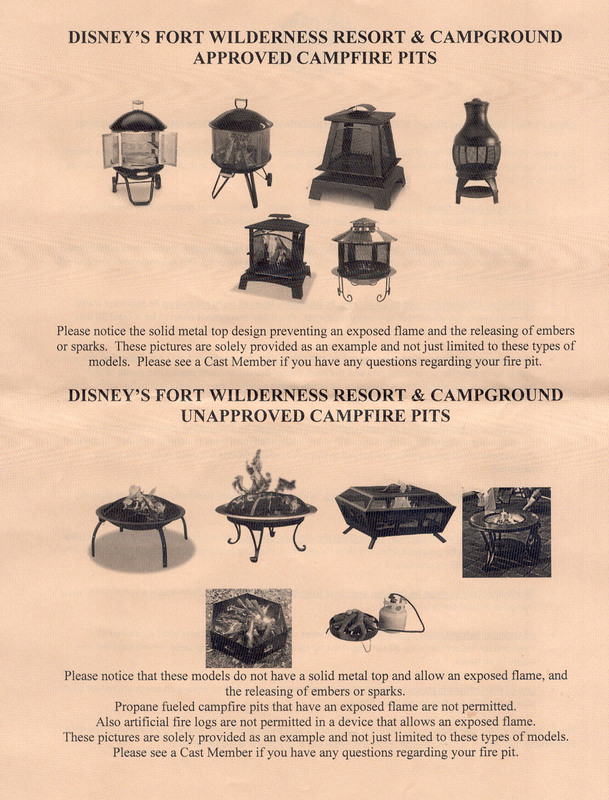 Author threestrandswdwPosted on 04/26/2014 04/26/2014 Categories Disney Destinations, Disney memories, Disney World Trip Planning, UncategorizedTags Fort WildernessLeave a comment on Head to the Fort! Walt Disney World has announced the EPCOT After Hours Wind Down for visitors around the World Showcase after Illuminations! on Thursday through Sunday. There are four World Showcase Restaurants participating in this experience. 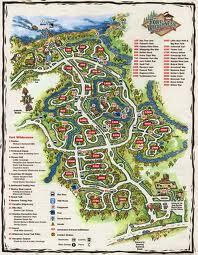 They are: Rose and Crown Pub, Tutto Gusto Wine Cellar, Spice Road Table near Morocco, and La Cave del Tequila. The cost is $35 per person and includes one drink and a selection of light snacks. Remember, tax and gratuity are extra! Though I have not had this experience myself, I am going to give you my take on it anyway. I am part of a family that does not drink alcohol. Personally, I don’t like what it does to me, and I choose NOT to drink it! Now, I understand that this is being marketed mostly toward adults, and I appreciate that very much! I would love to have some time to enjoy an nearly empty park with my wife! However, I wonder if Disney would consider offering a similar package with non-alcoholic drinks to consume? As for the cost, I feel it’s a bit steep for what you get in return. I would possibly be willing to pay $20 – $25 per person for this, but $70 for two is just a little too much! And, it would be even more worthwhile if you were at least allowed to stroll the promenade after your experience at your restaurant of choice. One more thing! As far as I can tell, there is no provision for Disney Dining Plan or Tables in Wonderland holders. It appears that this is strictly a special event ticket experience! Let me know if you partake of the EPCOT After Hours Wind Down, I’d love to hear about your adventure! Have a Blessed and Magical day, friends!! The ambiance Walt Disney World, during the day, is always exciting to see for the first time on each trip. At night, however, it becomes an extraordinarily different and quite beautiful place to be, especially in the parks! Night time at Main Street U.S.A.
Main Street U.S.A. lends itself well to the beauty of transformation as day becomes night. 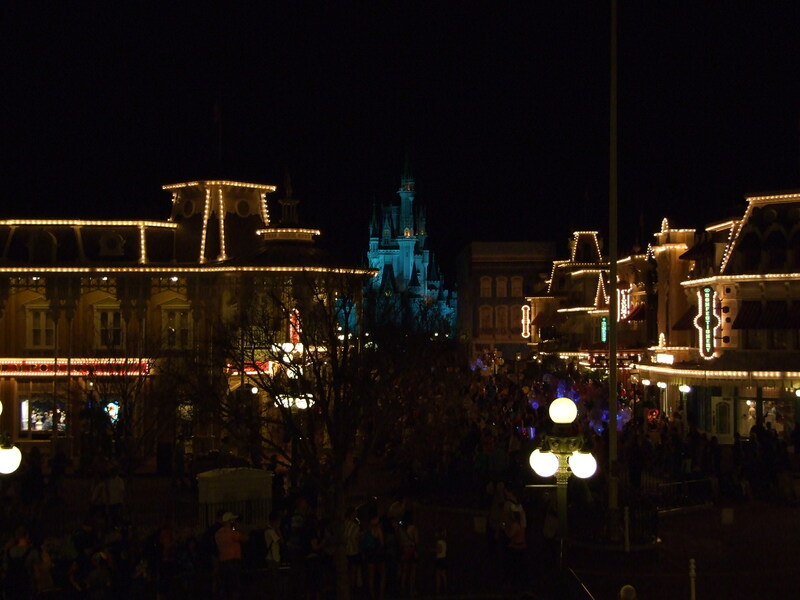 The lights on Main Street line the buildings and provide eye-popping glimpses at the detail created by WDW Imagineers. The view from the train station gives you a view that includes Cinderella’s Castle framed by the lighting of the buildings. And, the reverse view can be equally pleasing! One of my favorite places to be in the evening is World Showcase at EPCOT! The lighting is not over-powering at all! It also provides a somewhat romantic setting, if you are wanting to impress your sweetheart with your timing. Throw in a nice romantic setting along the promenade, at say Spice Road Table, and you can’t lose! Top that off with Illuminations! and you may have just fallen in love all over again! Disney’s Hollywood Studio offers a whole different scene with it’s evening lighting. For the most part, is holds up to the glamour of the Lights of Hollywood! A lot of neon and bright lights are reminiscent of the flavor of the old movie capital of the world! The main part of this lighting is found on Hollywood Blvd and Sunset Blvd. So, take a trip for two to the Vacation Kingdom, slow down a little and take in the scenery, and reconnect with the love of your life! Author threestrandswdwPosted on 04/22/2014 04/22/2014 Categories Disney Destinations, Disney World Trip Planning, Uncategorized1 Comment on Let’s Get Physical, WDW Style!